Welcome to another Creative Circle blog hop. This time an exciting 3D papercraft month! I can't believe how well this turned out! This template is called "Haunted" and you can purchase the pattern here. 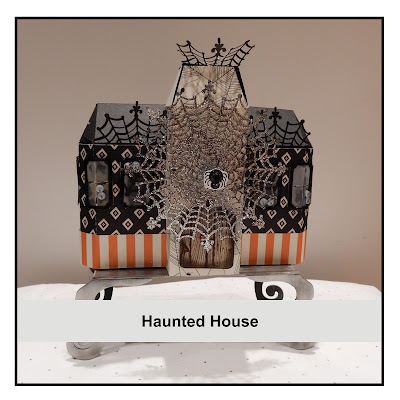 I used the Happy Haunting DP and the Spider Web Doilies to create this masterpiece. The Spider Web Doilies were my focal point. I made a couple of these as they were sold immediately at the office. Even my cards were a hit. Here is the assembly tutorial of the Haunted. It looks complicated but really it's not. The pieces are all numbered for you and all you have to do is assemble and decorate! Here are my three cards to go with the Haunted! 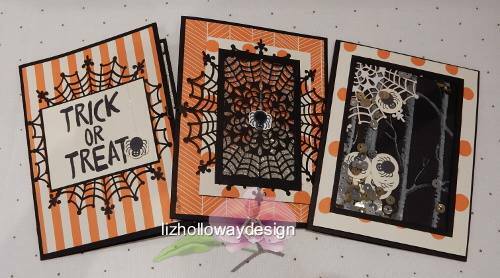 The third card on the right with the Woodland embossed background came in the Top 3 of the SUO Challenge #129. You can view the video here on how it's made here. For my giveaway prize, I am offering a pre-cut base house to one winner. You just have to add your own embellishments. Add comment here for a chance to win. My question is, do you dress up for Halloween, and as what? We will announce the winners on Monday, October 19. 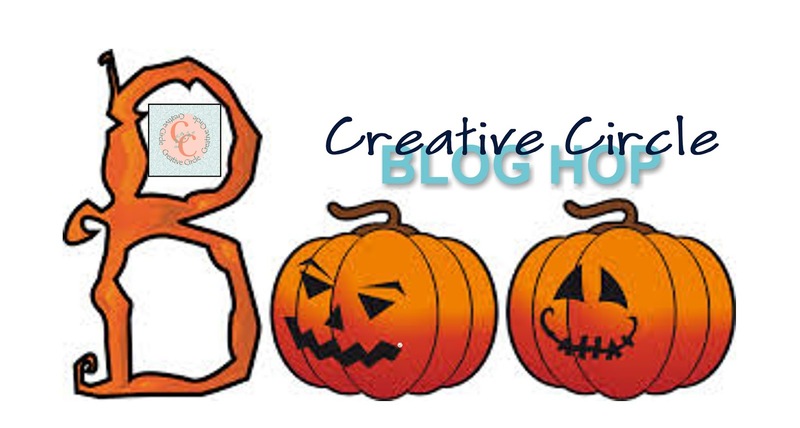 CREATIVE CIRCLE BLOG HOPI hope this has inspired you. Now move on to my friend Fran by clicking on the button below! Be sure to stop by all of us! Beautiful ideas. If you get lost at any time, my team is listed below. 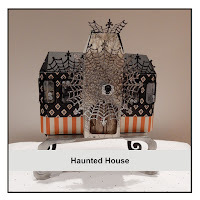 store or through me, you will receive this pre-cut Haunted and tutorial mailed to you. I don't dress up every year, but the last time I did, I dressed as a butterfly. The long fake eyelashes were the worst part! 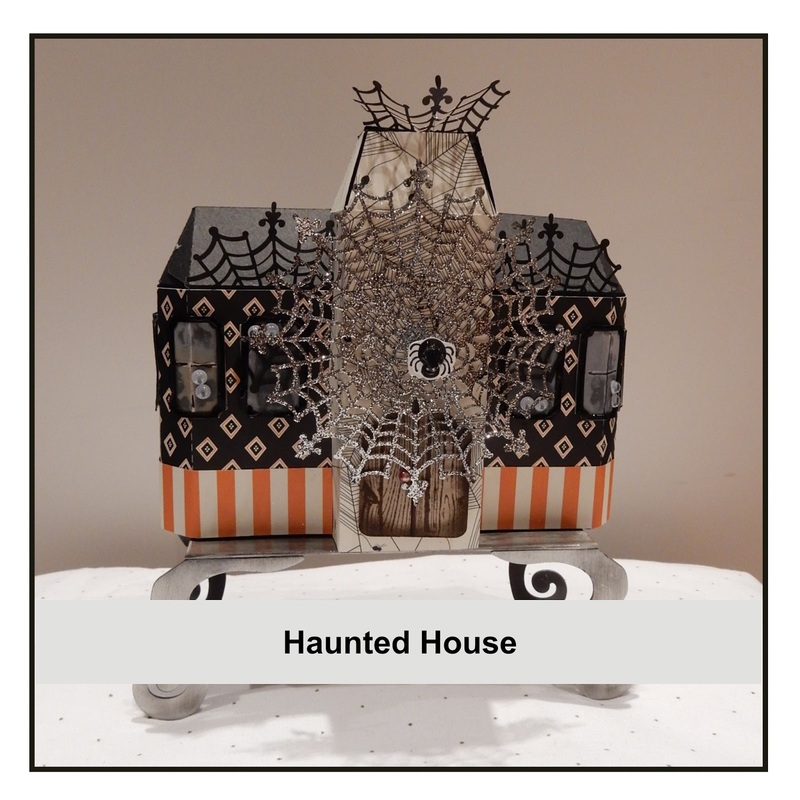 Your Haunted House design is INSPIRED! 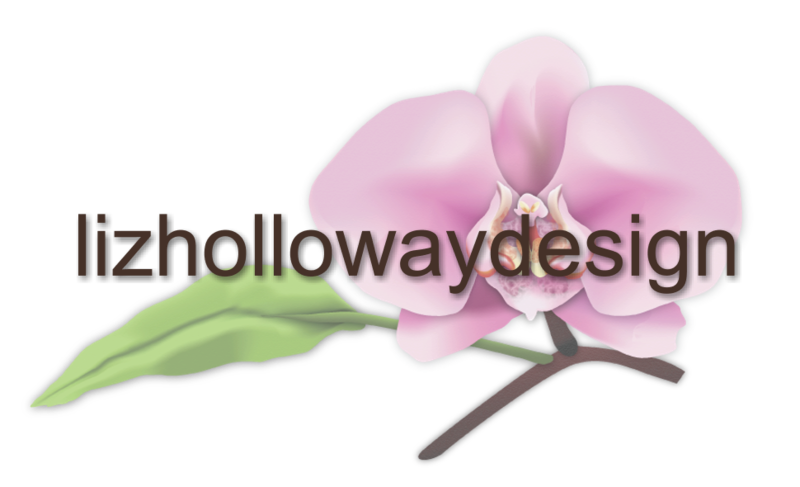 I love all the creations using it and would love to win one to play for myself! I'm pretty boring with my costume...I go as a witch every year since I already have the hat, wig and dress! 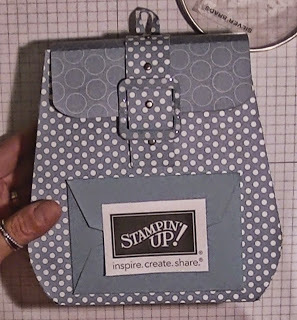 This year I'm going to miss Beggar's Night since I'll be at a stamping retreat...darn! Congrats Connie. Can you send me your mailing address? Stunning design, as usual. So thankful to be part of your team! Love the house. I dress up as a witch because it's so easy to change the little things every year.